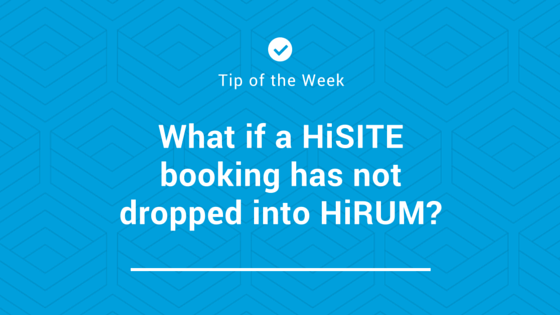 Q: I received a booking email from HiSITE Channel Manager, but it has not dropped into HiRUM Front Desk. What should I do? Reboot the computer that the HiRUM server is installed on and this will restart any services that might have stopped. The booking icon should start flashing after a few minutes. If not, go to your server computer, click on Windows ‘Start’ button and search for services.msc, Click on Services, scroll through to find HirumHTPSvc and this will show you if it’s running. If the services have stopped, click on ‘Start’. If it shows that the services are running, click on ‘Stop’ and then ‘Start’. If still no flashing pole after a few minutes, the problem is likely the result of a corrupt file that needs to be fixed. Please log an urgent job with our HiRUM Support Team and we can assist. Is there a feature you would like to request? Or a bug you would like to let us know about? Write a request and vote on other HiRUM users requests. Our eLearning centre is filled with support documents for all of our software to make your HiRUM experience easier. If you cant find what you are looking for submit a support ticket or give us a call on (07) 5574 4990. Our HiRUM/HiSITE Support Desk is the easiest way to send support tickets. As you type support desk tries to find support documents to help with your issue before needing to submit the ticket.